There are a dime a dozen high concept independent science fiction films that show up every year. Films that aim to ask the big questions. Some are good, some are okay, and some are jaw droppingly pretentious. These are the type of science fiction films that are designed to play with audience expectations and leave them guessing long after the credits have rolled. These films are modestly budgeted and usually are festival darlings that fly under the radar of most filmgoers. Radius is one of these, a film that I haven’t been able to stop thinking about after I watched it. 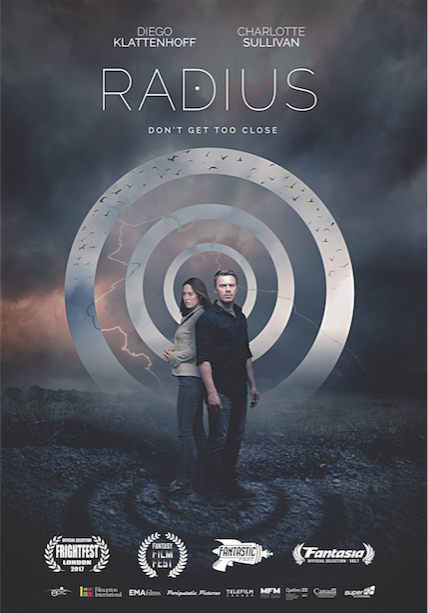 Directed by Caroline Labrèche and Steeve Léonard, Radius is a film that keeps an audience on its toes until the final frame. Inspired by mind bending films like Memento, Radius is about a man named Liam (Diego Klattenhoff) waking up from a violent and traumatic car crash. He’s dazed, confused and lost, with no memory of what happened or how he got there. He then tries to reach civilization, just trying to find something. However, as he gets closer to people and wildlife, he discovers that there's a truth he is not aware of: any living being that comes within a certain radius of him will die instantly. Forced to deal with this predicament, Liam needs to not only discover what happened to him, but also do so without endangering the rest of humanity. Radius is a smart low budget sci-fi that feels like an unpublished Stephen King story in terms of dread and atmosphere. It’s twists and turns will leave you constantly guessing where the movie is going. The story unfolds like a well-constructed puzzle should, leaving the audience on the edge of their seats. Liam’s predicament is one that immediately grabs the audience by the throat and leaves you wanting to know more and more about just what the hell is happening to him. 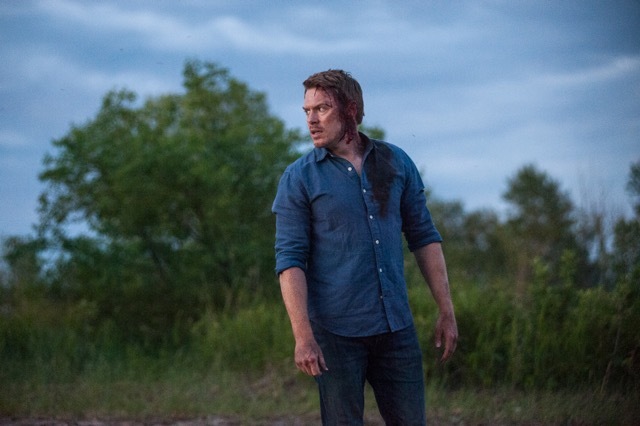 Diego Klattenhoff’s performance anchors the film and makes the audience invested in the central mystery of the film. The Canadian location creates a pungent vibe of dread and terror that permeates throughout the entire film. The locations and framing of the cinematography add to the tense and mysterious feeling that the film is going for. The pacing is constant, allowing the audience to spend the film’s ninety-two minute long runtime at a exciting and energizing pace. The film’s biggest flaws are budgetary. With limited time and money, the film does feel a bit rough around the edges. The acting is sketchy at points and some of the scenes do feel a bit rushed, which is understandable for a film like this. The film doesn’t take a lot of time to exactly reflect on the direct impact of what is happening, which would have made the ending a bit more poignant. But these are just minor nitpicks for a film that does so much so well. I look forward to seeing more from these filmmakers because I finished Radius gob smacked and I had to watch it again just to experience it all over again.